We supply new and used parts including those rare and hard to find items, and ZR1 rarities. We offer excellent prices on all GM parts. Parts supplied from Mid America, Ecklers, Zip, Vette Brakes, and others. 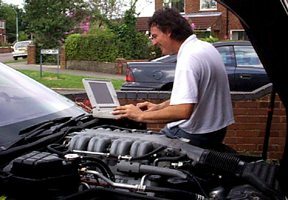 We offer technical help and advice and offer technical workshops to help you maintain and service your own car Computer and electrical diagnosis and help available. We can answer all your Corvette related questions. Services for C5s offered. See our C5 exhausts section! We also specialise in ZR1 and have cars, parts, and memorabilia for sale. Above all we are enthusiasts and we like our customers to return to us. Please feel free to explore our site using the navigation bar at the top of the page or by returning to our sitemap. Why choose Eurovettes as your supplier of Corvette parts? Click here to find out!